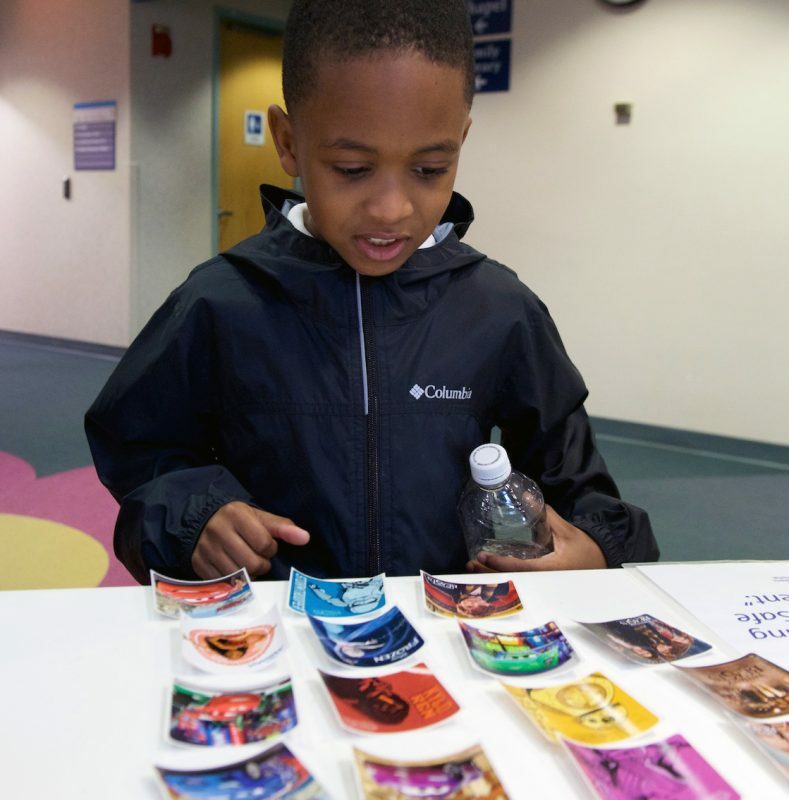 7-year-old Collin of Clinton carefully reviews his options before selecting a sticker. 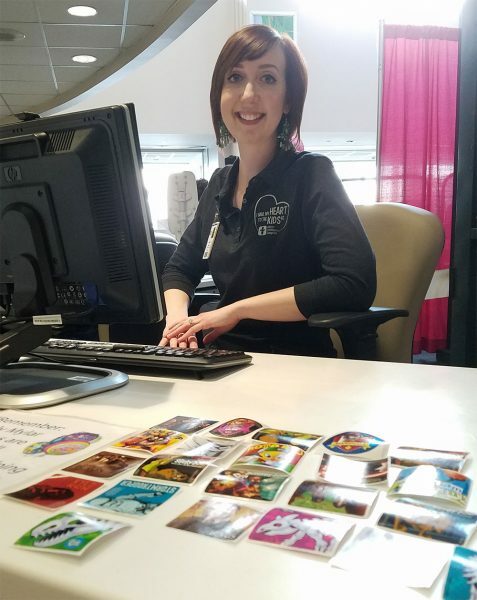 For many children, regardless of how often they have been to Akron Children’s, there may still be a moment of apprehension and uncertainty as they decide between the Spiderman or My Little Pony sticker during a stop at one of our visitor desks. Undoubtedly, it’s a scene repeated many times each day. In 2017, more than 70,000 of these sticky little mementos were distributed by our guest attendants — nearly 200 per day. Of course, with a front-row seat to the sticker selection process, our guest attendants were happy to share a few stories. Sarah greets guests at our Atrium lobby desk. 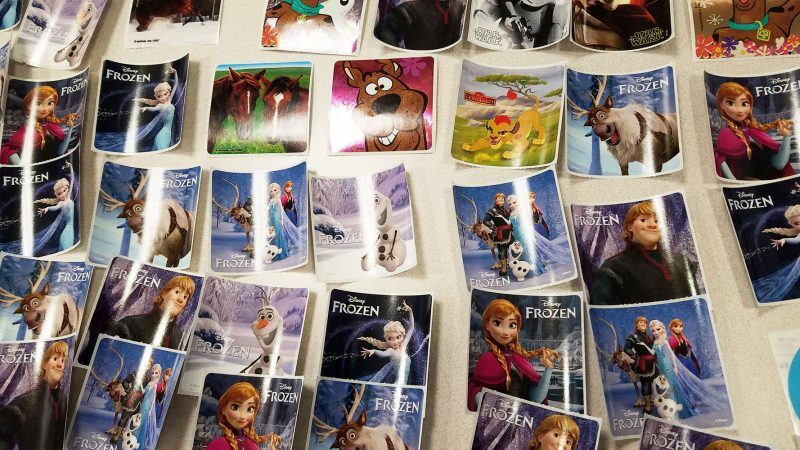 “I’ve seen stickers used as motivation to get a patient out of bed and walking around. I’ve also seen them used as bribery for appointment-bound little patients with small legs that surprise me with how fast they run! “Stickers are a welcome distraction to a nervous child who’s overwhelmed in a new environment. They are an ice-breaker for a group of high school students coming to see their classmate who was in a car accident and they don’t quite know what to say. “They are a token of hope to a new mom who takes super heroes to put on her baby’s crib. She tells me Wonder Woman is for her daughter but I know it’s for her because I can see the pain and fear in her eyes. But I also hear the bravery and strength in her voice when she shares her journey. 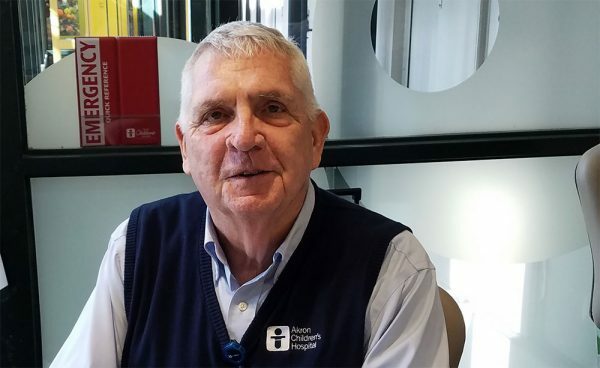 “So many of our beloved little “regulars” stop by the desk on the way to a treatment or therapy, or are dealing with another day in a lengthy inpatient stay. For these children, the stickers are part of a positive ritual to help take their minds off the health issue at hand. “I know a family that’s been here for several months. Every evening, the father stops by my desk on his way home to take a sticker to his daughter who has to stay home because of the visitor restrictions. I know he loves that little girl to pieces and wants her to know she’s not forgotten. Jim provides coverage at several desks. 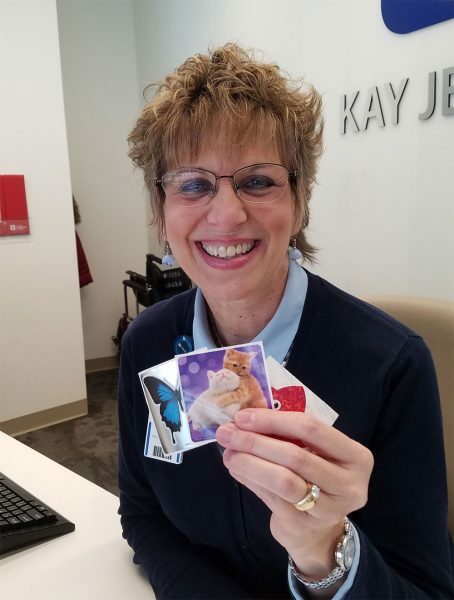 Peg is a regular at the info desk on the third floor of the Kay Jewelers Pavilion. “When kids get a sticker from the desk, they are always thinking of others. They will ask ‘Can I get a sticker for my brother/sister?’ or ‘Can I take a sticker for my sick friend?’ They’ve learned at an early age to think of others. It’s very sweet! “One time a little boy grabbed a sticker but I could see he was also eyeing a different one with the same character. So I whispered to him, ‘You can have another one if you like!’ He looked at me and said, ‘Mommy can hear you.’ LOL! “Of course, 10 and 11 year olds think they are too big for stickers! When I ask them if they would like one, they’ll say, ‘No, I’m good’ so I reply ‘I know you are good! How about one for your boyfriend/girlfriend?’ They get so red and embarrassed, especially if mom and dad hear me.